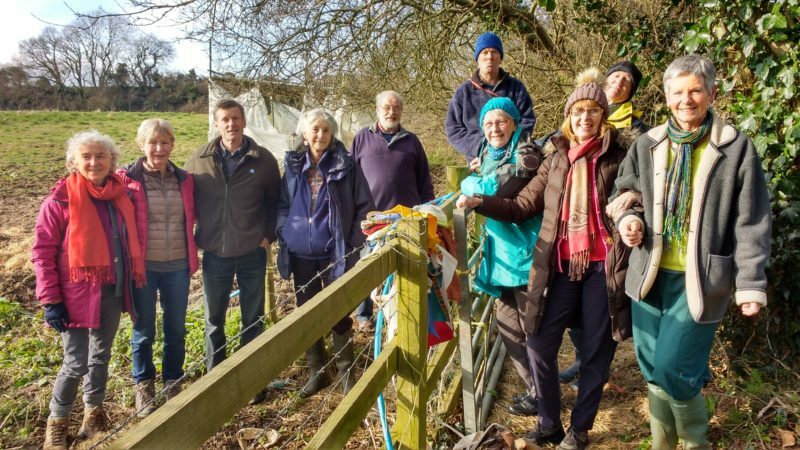 Bridport Cohousing – a community-led housing group – has taken a huge step forward this week with its plan to build affordable, sustainable homes for local people looking for a different way of living in this vibrant Dorset town. After over four years of negotiations with the Dorset Healthcare University NHS Foundation Trust the Department of Health in Westminster has authorised the agreed access arrangements for the cohousing site, which is next door to Bridport Community Hospital in North Allington – this had proved to be a major sticking point for the group and their management team. The cohousing group was given planning permission in 2016 to build 34 affordable homes and a common house on land to which they had been granted an ‘option to purchase’ from a Bridport family who had generously wanted this particular site to be sold to a community project. There has been considerable patience needed from both the family and from Bridport Cohousing, who have both had to deal with years of unexpected delay to the project, however, time was running out, as there was a deadline looming for buying the land, and the cohousing group could not proceed without the NHS access agreement in place. It was a classic case of Catch 22 !! To make this even more of a nail-biting time for members (who have been working diligently on the project for the past 9 years) a short-term funding gap appeared due to the delays, and the group found that they had to raise over a quarter of a million pounds from somewhere to secure the land !! The day before Christmas Eve they publicised a loan offer to friends and family and the wider community of Bridport. Within 3 weeks the money had been promised, within 8 weeks it had been collected and within 12 weeks the land had been bought!! The next stage of the Bridport Cohousing journey will be to conclude the agreement with our development partner and to build the homes. The neighbourhood has been designed by its members to provide a more environmentally sensitive approach to living on a modern housing development. It has taken amazing resolve for BC members and their professional advisors to keep going over the years and it shows the strength of their vision that the project is still alive and progressing in spite of so many changes in government policy, and bureaucratic delays and setbacks.